The Verge has reported that lawmakers is the US are trying to pass the country’s first regulatory framework for autonomous vehicles. 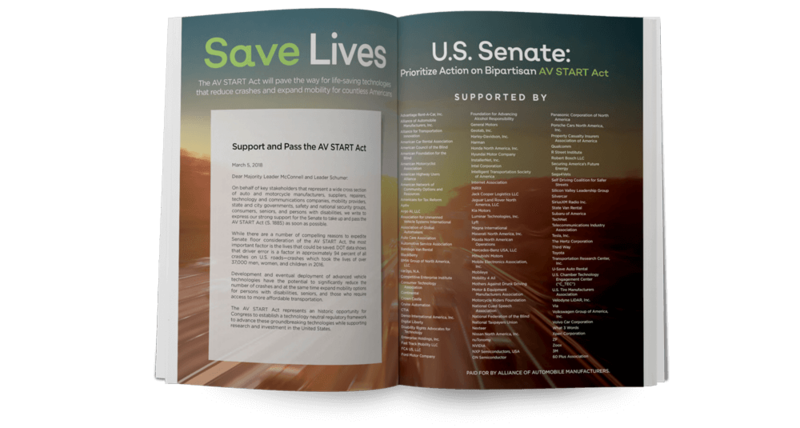 The report states that “The AV START Act is sponsored by the Senate Commerce Committee Chairman John Thune (R-SD), but hasn’t moved onto the floor after Democrats like Sens. Diane Feinstein (D-CA) and Richard Blumenthal (D-CT) voiced concerns about the bill. The opposing lawmakers cited frustrations over safety standards, privacy, and whether consumers should be forced into private arbitration over legal complaints. Many of those concerns have since been addressed, according to an updated bill text and summary document obtained by The Verge. “If enacted, the bill would loosen up many of the federal regulations pertaining to self-driving vehicles. AV manufacturers like Tesla and General Motors would be able to develop and market these vehicles without specific regulatory action. At the same time, the bill would collect crash information federally for Level 2 self-driving systems like Tesla’s Autopilot and GM’s Super Cruise. “This legislation also has the power to determine what these vehicles look like in the future, allowing for automakers to manufacture vehicles without steering wheels, gas, and brake pedals so long as the Department of Transportation exempts them from the Federal Motor Vehicle Safety Standards (FMVSS). “These new changes to the bill would require vehicles without these traditional systems, like steering wheels, to pass all other existing occupant protection requirements. Drivers of autonomous vehicles would also be forced to take a vision test before acquiring a driver’s license, something that was not included in the first draft. “The revised draft also requires manufacturers to ensure that the vehicle can detect all types of traffic, including from pedestrians, bicyclists, and motorcyclists. The original copy allowed accident claims to be moved into arbitration, but the sponsors of the legislation have added new protections for consumers. Under the new changes, forced arbitration would be removed in cases that included the death or serious injury of the driver.